to advance digital accessibility within your organisation using tools of collaboration and relationship building. Creativity, empathy, curiosity, optimism, teamwork, and user-centred focus are all aspects of design thinking and good management. They’re very similar to aspects of an approach to resolve issues called Structured Negotiation. In this interactive workshop, Lainey will share collaboration and negotiating tools that will help advance accessibility whatever your role. Join us to learn how to get more from your teams, your project leaders, your clients, and yourself — in your work and in other aspects of life. 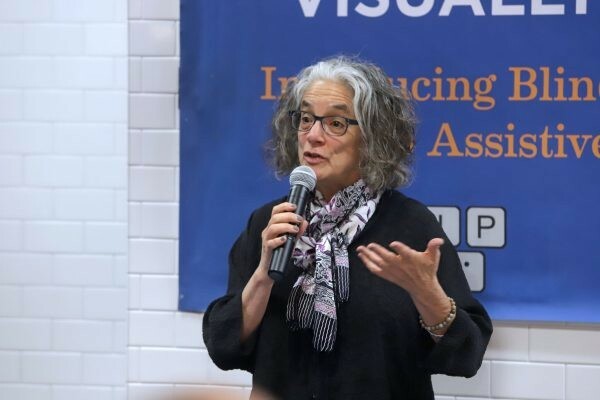 US disability rights lawyer Lainey Feingold has worked in disability rights since 1992, and opened her own law office in 1996, from where she represents disabled people seeking full participation in all society has to offer. Her principal work is with the blind and visually impaired community on technology and information access issues, including web and mobile accessibility.Structured Negotiation is a collaborative problem-solving strategy that Lainey developed and has refined for over 20 years in her work addressing technology accessibility. Lainey has negotiated accessibility agreements with some of the largest organisations in the US, all without lawsuits, building relationships that help bake accessibility into organisational culture. WCAG 2.1 – What’s it all about? This half-day workshop will explain the new Web Content Accessibility Guidelines (WCAG) v2.1 success criteria. Discuss the issues that the new success criteria address, learn how to test for conformance and figure out how much extra work it means for you and your team. There’ll be some technical details for developers along with plain English explanations and demonstrations for everyone. Bring your laptop and participate in hands-on exercises. Inspect and edit code, test colours, listen to screen readers and watch me talk to a Dragon. Trend-setters, this one’s for you – be the first to know the latest in digital accessibility! Allison Ravenhall has worked in enough IT roles to fill a bakery: tester, web dev, team lead, tech architect, usability and UX consultant, tech writer, training facilitator, speaker, and accessibility consultant.That depth and breadth of experience is all brought into play in Allison’s current role as Digital Accessibility Sensei at leading Australian accessibility consultancy Intopia, helping organisations create inclusive websites and apps. Thanks for the use of the photo to Matt Brough. This full-day workshop takes a detailed look at WAI ARIA, a way to make web content and web applications more accessible to people with disabilities. This workshop is for anyone who builds or tests complex web applications and includes a wide range of hands-on exercises, so bringing a laptop is important. Requirements: Laptop with modern browser and some sort of text editor. 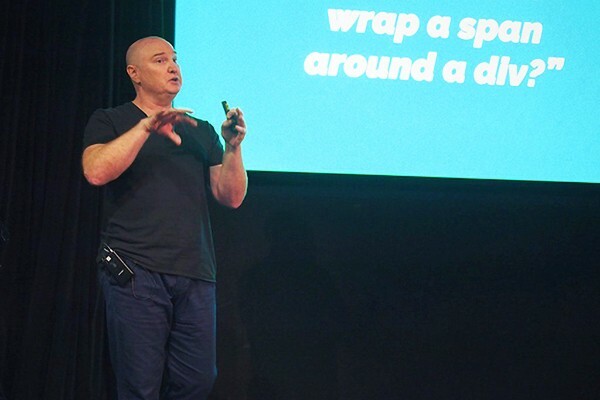 Russ Weakley has worked in the design field for over 20 years as a Design System Architect, User Experience professional, Front-end Developer and trainer. He is the producer and presenter of 12 video courses on CSS and Responsive Web Design, and the author of Sams Teach Yourself CSS in 10 Minutes (2005) – and its sequel. His commitment to accessibility is a natural outcome of his adherence to web standards and best practice. You can follow Russ on Twitter: @russmaxdesign. Thanks for the use of the photo to Web Directions. 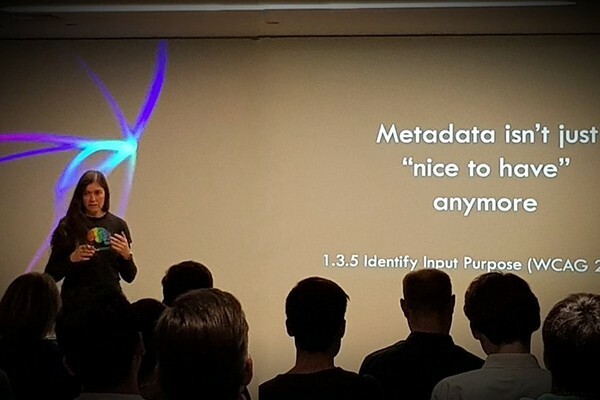 Russ is also giving a presentation at A11y Camp: Accessible Form Hints and Errors. This full-day workshop provides hands-on training in testing for accessibility, covering a variety of technical topics from the perspective of testing multiple types of content. We will cover various testing methodologies including automated, manual, and use case testing and provide helpful job aids for each. We will also cover how to configure and use various types of assistive technologies and discuss how to use each during manual and use case testing. 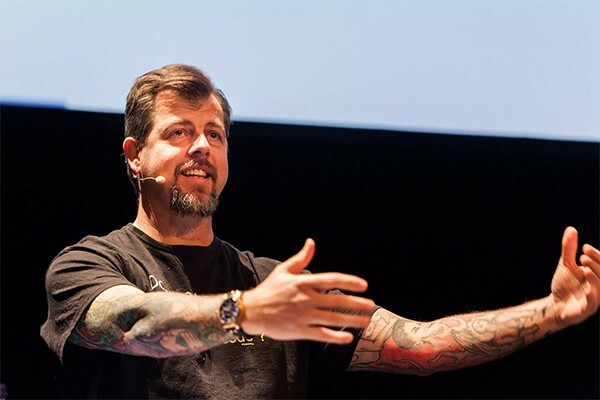 An unstoppable force for change and thought-leader in an industry regarded for saying “No”, Karl Groves would rather lead by example in saying “Yes, and here’s how…”He seeks to offer solutions to complex problems relating to universal usability. He believes that together we can meet both our goals: your business goals and his goals to lead the way in accessible user experiences. Karl has over a decade of experience in doing IT consulting for the biggest companies in the world and biggest agencies in the U.S. government. Widely regarded as a pragmatic solution-finder, his work is cited in nearly a dozen books and used on curricula in Human-Computer Interaction across the globe. He leads by doing, teaches from experience, and succeeds by facilitating others’ success. When others say, “That can’t be done”, Karl shows them how.